This is Steve Sande for Apple World Today, and you’re listening to the AWT News Update for February 3, 2017. As usual on Friday, it’s a slow Apple news day so this will be a really quick podcast. The BeatsX wireless earbuds that have been delayed since last fall may be in stores as soon as next week. iStockNow is a website that tracks inventory of scarce Apple products, and the site said that the Apple online store is apparently ready to roll with an official launch of the $149 earbuds. The site also mentioned that BestBuy’s US website appears to be getting ready for the rollout as well. The BeatsX earbuds use Apple’s W1 chip for easy connectivity to Apple devices, like AirPods, Powerbeats3, and Solo3 headphones. Unlike AirPods, the BeatsX design uses a cable between the buds and features an in-ear design. Unlike the other Beats family members that use the W1 chip, the BeatsX earbuds use a Lightning cable for charging instead of micro-USB. BeatsX has a feature called Fast Fuel that provides 2 hours of playback time with just 5 minutes of charging, which should be extremely popular. If you’ve been waiting for the BeatsX earbuds, keep a close eye on the Apple online store and BestBuy websites over the next few days. Nintendo had a big hit on its hands last year with the release of Super Mario Run for iOS, and now its second big franchise game is available. Fire Emblem Heroes is a free-to-play turn-based role playing game, and became available yesterday in the UK, Japan, Australia and North America. Based on the Fire Emblem franchise, the game is designed specifically for mobile. Like Super Mario Run, Fire Emblem Heroes requires an internet connection. The game is free to download and play, but some more advanced features will require Orbs, an in-game currency. And guess what? You will probably need to buy Orbs with an in-app purchase in order to move through the game. One fun thing about being the CEO of the most valuable company on the planet is that you get a lot of awards from various groups. Tim Cook is going to be visiting the University of Glasgow next week to receive an honorary degree and then participate in a “Fireside Chat” Q&A session. The event was only open to students and staff of the university and sold out within an hour of being announced. Interestingly, the current rector of the University of Glasgow is none other than former NSA contractor and whistleblower Edward Snowden, so it’s likely that the Fireside Chat may be focused on issues of privacy, encryption and government policy. 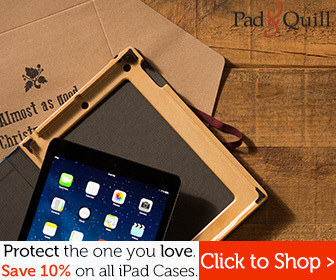 Enter Coupon Code PQ16 for an additional 10% off courtesy of Apple World Today!